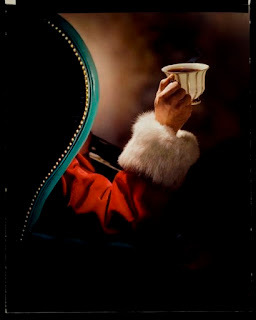 December 6 is Saint Nicholas Day and it is a great way to start the Santa season. One of the big questions that many mommy bloggers have been asking is how to explain why Santa might not be able to bring a super expensive gift to every girl and boy. Talking about Saint Nicholas and the spirit of giving is a good place to start. Saint Nicholas teaches us that it is better to give than to receive. On Saint Nicholas day some people give each other little gifts or do something nice for each other. On Saint Nicholas day we like to talk about what favorite charity we are going to donate to this season and throughout the following year. ChildsPlayCharity founded in 2003 is a game industry charity dedicated to improving the lives of children with toys and games in a network of over 70 hospitals worldwide. Child’s Play works in two ways. With the help of hospital staff, they set up gift wish lists full of video games, toys, books, and other fun stuff for kids. By clicking on a hospital location on our map, you can view that hospital’s wish list and send a gift. St. Judes Childrens Hospital The mission of St. Jude Children’s Research Hospital is to advance cures, and means of prevention, for pediatric catastrophic diseases through research and treatment. Consistent with the vision of our founder Danny Thomas, no child is denied treatment based on race, religion or a family's ability to pay. Local Charities: We also make a plan to donate and volunteer locally. Today is a good day to talk about the ways you are going to give in the spirit of St Nicholas and the ways you are going to celebrate the true spirit of Santa Claus.